This is the first Brume skirt I’m making, but it sure ain’t the last! I remember when Eleonore released her jersey collection for Deer & Doe and I loved both patterns, the Brume skirt and the Ondée sweater, so much that I ordered them right away. I want to make the knee length version in black, it looks so elegant and effortlessly chic.The jersey I used is quite heavy, it’s sweater fleece I bought last year in Bennytex, Paris. The good thing is underwear lines are not really an issue, but seams are a little bit bulky. The only problem I have is linked to the fabric: it has the amount of stretch needed but not much recovery and the waistband stretched out after the first wear. I might add an elastic as adviced in the instructions. 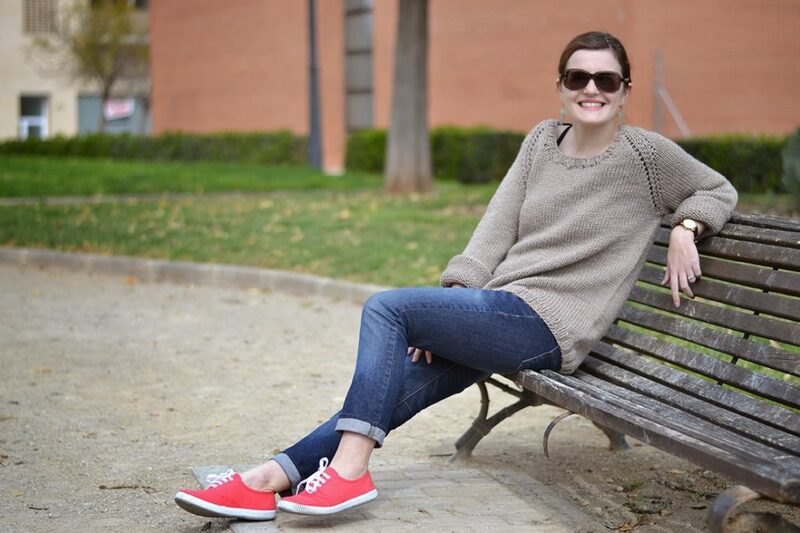 I’m also wearing my 2nd Il Grande Favorito sweater by Isabel Kramer, knitted last summer and worn so much this winter. Changes made: shorten length on body and sleeves. Wool: Cascade Yarns Eco+ in West Point Blue Heather bought at Lil’Weasel. 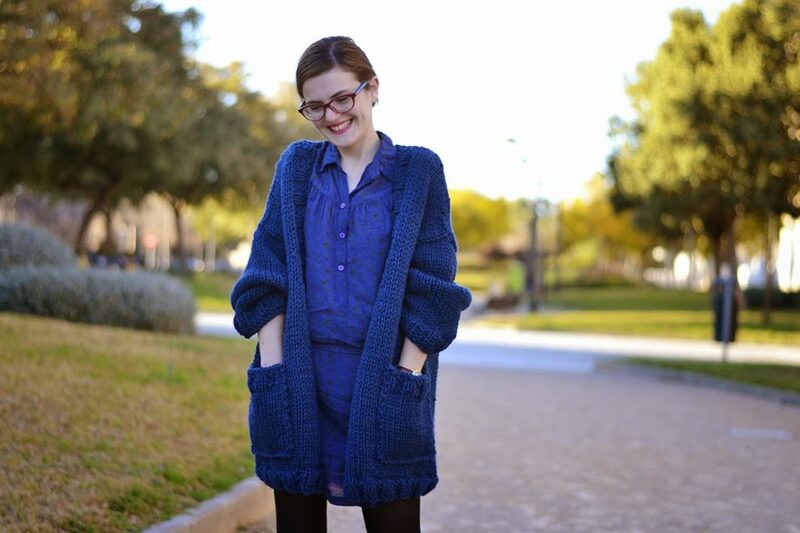 I love this pattern, I have 3 versions of this sweater and I’m sure there will be many more! Here is my new favourite sweater: Il Grande Favorito! It’s my first sweater but already my favourite! 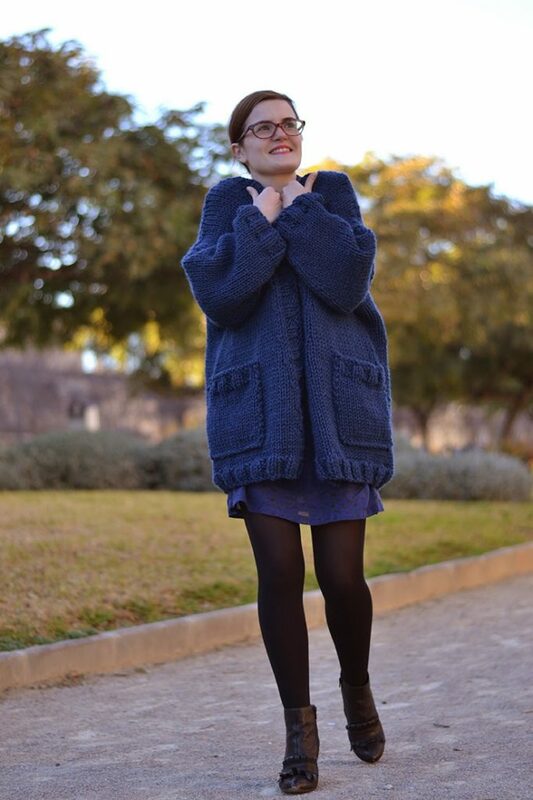 After learning a little bit about knitting this winter with a loose cardigan, I wanted to make this sweater as a lot of people recommended it for its simplicity and yet nice details (the low back, raglan sleeves and seamless shaped (worked from the top down with circular needles). I thought it would be too difficult but no, it was just the perfect project for me: easy enough to make it without loosing hair over it and challenging enough so I can learn something new.I wore it all this week end and I love the comfy and oversized look, as well as the nice neutral colour I picked. The details: wool by Lanas Stop extra merinos, bought in a small shop, and Il Grande Favorito pattern by Isabell Kramer, bought on Ravelry (available in French and German as well, I bought it in French and the translation is great!). 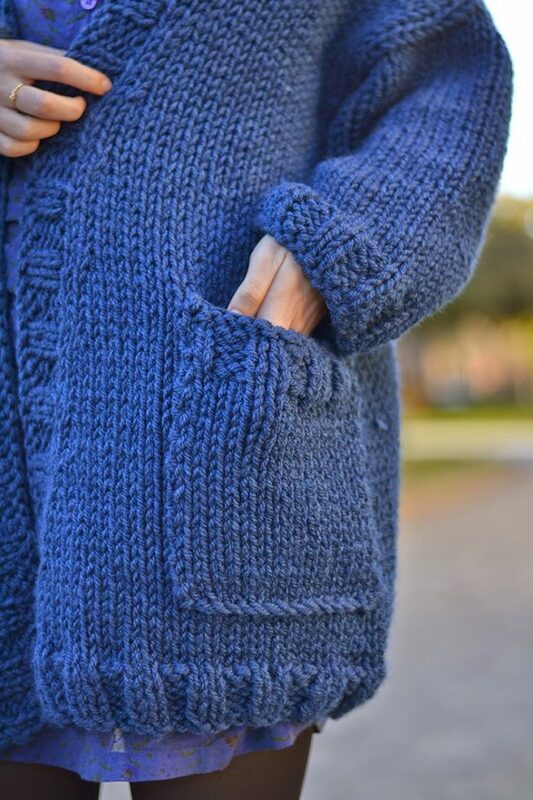 This is the “gilet Léon” by Une Poule à petits pas, an oversize and loose cardigan. This is exactly the kind of garment I wanted: something easy to make but with just the right amount of new techniques (to me) so I can learn and progress. I made size S, it’s a little bit too big on me as I had to use two threads of 5 mm wool instead of the 8 mm recommended. As I didn’t have exactly the same test square, it’s wider than it should be. Next time, I’ll be sure to check the wool’s needle size more carefully when buying. But it’s cozy, the colour is really beautiful and the knitting is very nice. 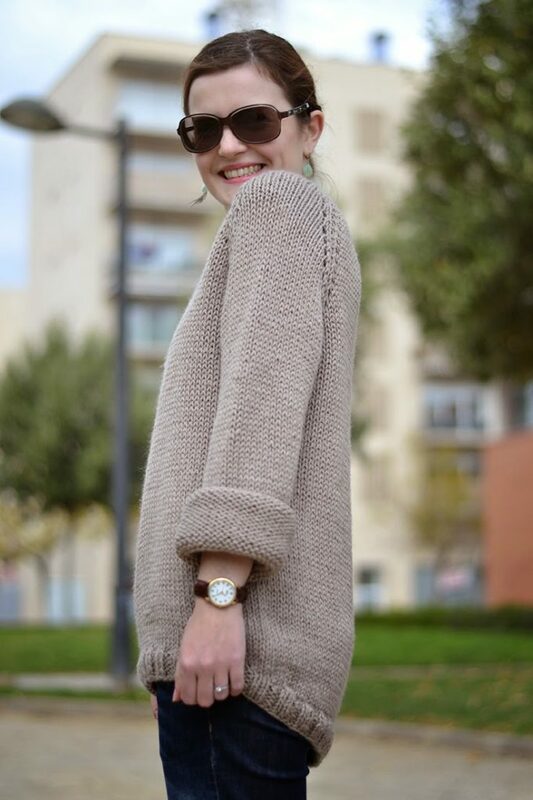 I’m already planning my next project: Il Grande Favorito sweater!